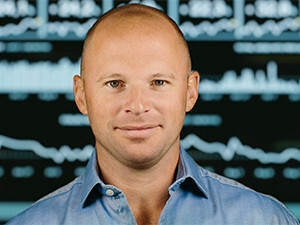 Andrew Watkins-Ball, CEO and founder of JUMO. Local transaction and predictive technology company JUMO has been selected as one of six start-ups from Africa to qualify for the fourth class of the Google Developers Launchpad Accelerator. The initiative is aimed at empowering innovative solutions founders by supporting their start-ups, through mentorship and equity-free support. The accelerator leverages Google tech offerings, to help participating tech start-ups reach their true potential. JUMO, the only South African company to make it to the final round of the challenge, will be afforded the opportunity to participate in a two-week boot camp at Google headquarters in San Francisco from 17 to 28 July. It will also receive a $50 000 (R647 624) funding prize. The Cape Town-based company helps mobile network operators grow their mobile money ecosystems by integrating them with financial services. Launched in 2015, JUMO partners with large digital footprint holders, such as mobile network operators, to deliver a new generation of financial services to customers who need instant access to working capital, savings and other financial services. "We are solving a really important problem and it's exciting when someone like Google takes notice," says Andrew Watkins-Ball, CEO and founder of JUMO. "The opportunity to work alongside teams within Google who have incredible expertise that are relevant to the solutions we are working on will provide a wealth of knowledge. "We currently have close to five million customers across six countries and we are working on broadening our offering by including savings products." JUMO is present in the mobile money markets in Kenya, Tanzania, Zambia, Uganda, Rwanda and Ghana, with operations support in Cape Town. The accelerator, which opened to African countries for the first time this year, selects the best emerging market start-ups via a rigorous application process. In addition to the funding prize, JUMO will receive six months of ongoing support and mentorship, and Google products credit worth $100 000 (R1 291 700). A total of 33 start-ups have been selected from across the globe. The five African start-ups are: Twiga Foods from Kenya, and Delivery Science, Gidi Mobile, Flutterwave and Paystack from Nigeria. The names of all the companies accepted into the programme were announced in a post on the Google Developers Blog.